Spring has sprung and welcomed us with a lot of variable weather; yesterday managed to be a gorgeous day and the perfect fit for my first visit to Springridge Farm with my nephew. 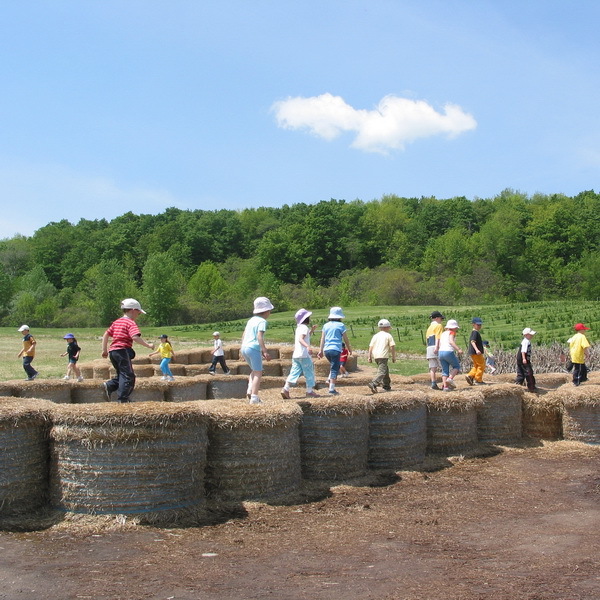 We drove the 20 minutes north of Burlington to Bell School Line in Milton to experience the history and fun synonymous with this farm. The farm is open 9am to 5pm daily until Christmas but I thought in order to beat the crowds I knew would come out on a day like yesterday, we arrived shortly after opening to a relatively quiet farm. On our short walk towards the Fun Farm Yard entrance, we were greeted by 2 roosters and a hen inside a small chicken coop. Their gorgeous coats and bobbing heads were a warm welcome from the slight chill in the air. My nephew couldn’t keep his attention on these birds for too long as he saw much more fun around the farm that begged for him to play with. 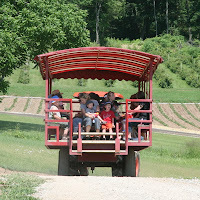 We ran up towards the Fun Farm Yard cash register and were greeted by 2 very sweet women who took the time to tell us about the farm animals like Rocky the Rooster, pony rides, 2 new farm yard pipe slides, pedal tractors and when the next wagon tractor ride was scheduled for. After paying our admission and receiving our orange admission bracelets, we were off and entering our first corn trail which was empty except for the two of us. After running through it back and forth a few times, I managed to pry my nephew away to head over to the barn storing the rest of the farm animals. 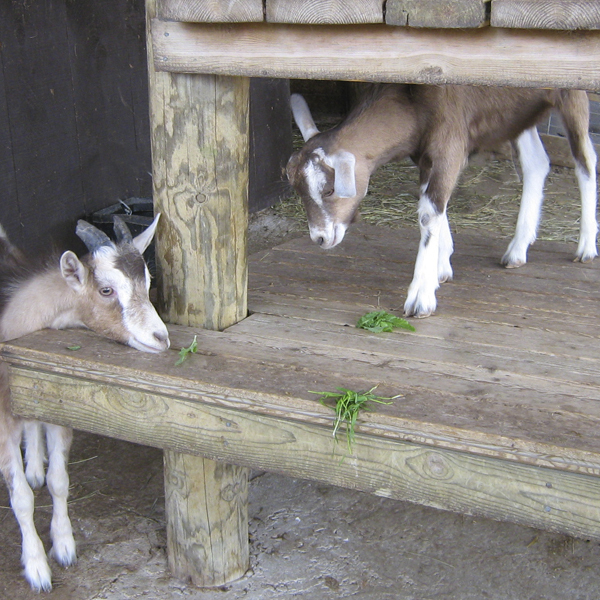 We purchased some animal feed and fed my nephews favourite farm animal, the goats. He had the attention of most of them all wanting to lick his hands full of feed! He turned around and noticed some chickens, roosters and hens; we saw turkeys and a peacock too! 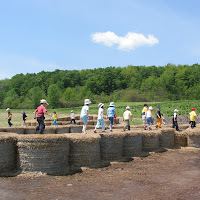 My nephew then saw another child running along hay bales and decided he wanted a turn, so off we went to run along hay bales they have next to the farm animals. Our fun continued throughout the morning with a wagon tractor ride that provided us with some farm history, their growing crops and views of all of Halton, including Mount Nemo Conservation Area, Burlington, Milton, Oakville, Mississauga, Toronto and even some buildings overlooking Niagara Falls. 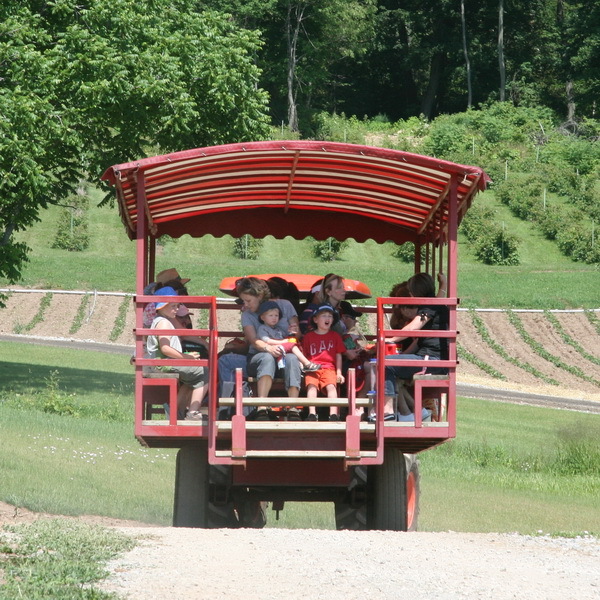 After our tour by tractor of Springridge Farm, we attempted a pony ride upon Drag but unfortunately, my nephew was quite shy and wouldn’t try the trek so we ventured indoors into the bakery and gift shop. The gift shop at Springridge Farm is a restored 19th century barn nestled on the side of the Niagara Escarpment with 2 levels of gorgeous outdoor merchandise, jewellery, preserves and of course, some home-made treats dating back to the time of the Hughes family, the farms original owners. I did purchase their Royal Wedding Marmalade created as a toast to the happy couple, HRH Prince William and Kate Middleton who are to wed later this month. Not only did I pick up some Royal Wedding Marmalade, I purchased some pickled hot pepper rings, wild blueberry jam, their original unbaked apple pie and some other great home decor items. Springridge Farm was a very friendly, family-oriented farm devoted to providing their customers and visitors with the best; I know I will become a repeat visitor during their many festivals including their Easter Festival, Harvest Fall Festival and Christmas Open House. 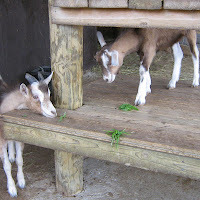 For everything Springridge Farm, visit their Facebook page and follow them on Twitter. And as always, you can follow Tourism Burlington as we explore Halton Region through our social media like Facebook, Twitter, YouTube, Flickr and FourSquare. Visit our Information Centre in downtown Burlington to get your brochure of Springridge Farm and start planning your summer now!